The decolonization of Asia was the gradual growth of independence movements in Asia, leading ultimately to the retreat of foreign powers and the creation of a number of nation-states in the region. A number of events were catalysts for this shift, most importantly the Second World War. Prior to World War II, some countries (e.g., the Philippines in 1898) had already proclaimed independence. European powers began colonizing Asia in the early 16th century, beginning with the Portuguese seizure of sites, while along the west coast of India, Ceylon and Malacca. In 1511, Portugal established a permanent base in Malacca. In 1565, Spain commenced its colonization of the Philippine Islands, creating a long sea trade route via Mexico to Spain. The decline of Spain and Portugal in the 17th century paved the way for other European powers, namely the Netherlands, France and England. Portugal would lose influence in all but three of its colonies, Portuguese India, Macau and Timor. By the end of the 17th century, the Dutch had taken over much of the old Portuguese colonies, and had established a strong presence in present-day Indonesia, with colonies in Aceh, Bantam, Makassar and Jakarta. The Dutch also had trade links with Siam, Japan, China and Bengal. The British had competed with Portuguese, Spanish and Dutch for their interests in Asia since the early 17th century and by the mid-19th century held much of India (via the British East India Company), as well as Burma, Ceylon, Malaya and Singapore. After India's First War of Independence of 1857, Queen Victoria was declared Empress of India, thus solidifying the British rule on the subcontinent. The last British acquisition in Asia was the New Territories of Hong Kong, which was leased from the Qing emperor in 1897, expanding the British colony originally ceded in the Treaty of Nanking in 1842. The French had little success in India following defeats against the British in the 17th century, though they held onto possessions on the east coast of India (such as Pondicherry and Mahar) until decolonization. The French established their most lucrative and substantial colony in Indochina from 1862, eventually occupying the present-day areas of Vietnam, Laos and Cambodia by 1887. Japan's first colony was the island of Taiwan, occupied in 1874 and officially ceded by the Qing emperor in 1894. Japan continued its early imperialism with the annexation of Korea in 1910. The United States entered the region in 1898 during the Spanish–American War, taking the Philippines as its sole colony through a mock battle in the capital and the purchase of the Philippines from Spain after the declaration of independence and the First Philippine Republic. The following list shows the colonial powers following the end of World War II in 1945, their colonial or administrative possessions and date of decolonization. Burma was almost completely occupied by the Imperial Japanese Army during the Second World War. Many Burmese fought alongside Japan in the initial stages of the war, though the Burmese Army and most Burmese switched sides in 1945. A transitional government sponsored by the British government was formed in the years following the Second World War, ultimately leading to Burma's independence in January 1948. See Cambodia's passage to independence. Following the capitulation of France and the formation of the Vichy regime, France's Indochinese possessions were given to Japan. While there was some argument that Indochina should not be returned to France, particularly from the United States, Cambodia nevertheless remained under French rule after the end of hostilities. France had placed Norodom Sihanouk on the throne in 1941, and were hoping for a puppet monarch. They were mistaken however, as the King led the way to Cambodian independence in 1953, taking advantage of the background of the First Indochina War being fought in Vietnam. Ceylon was an important base of operations for the Western Allies during the Second World War. The British gave in to popular pressure for independence and in February 1948, the country won its independence as the Dominion of Ceylon. Hong Kong was returned to the United Kingdom following its occupation by the Japanese during the Second World War. It was controlled directly by a British governor until the expiry of the hundred-year（99years） lease, which occurred in 1997. From that date the territory was controlled as a Special Administrative Region of the People's Republic of China. The Philippines unilaterally declared independence from Spain on 12 June 1898 under the leadership of President Emilio Aguinaldo, culminating the 1896 Revolution. Unbeknownst to the newly established government and the Filipino people in general, the United States of America had secretly arranged to purchase the colony along with several other possessions from Spain through the Treaty of Paris that concluded the Spanish–American War. After staging a mock battle in Manila, the Philippine–American War ensued until the Philippine government capitulated in 1902. The Philippines subsequently underwent successive stages of rule under the United States, first as an unincorporated territory, then as a Commonwealth. It was then occupied by the Japanese during the Second World War. In 1943, Japan granted its short-lived independence to the Philippines and in 1944, the Allied invasion of the Philippines by combined U.S. and Filipino troops began, which resulted in America regaining full control of the nation. In 1946, the United States gave the Philippines its independence. The "colonial power" and "colonial name" columns are merged when required to denote territories, where current countries are established, that have not been decolonised but achieved independence in different ways. ^ Timeline list arranged according to current countries. Explanatory notes are added in cases where decolonization was achieved jointly or where the current state is formed by merger of previously decolonized states. Former Soviet republics (Armenia, Azerbaijan, Georgia, Kazakhstan, Kyrgyzstan), as well as Kuwait under Iraqi rule are excluded from this list, as they were not administered as colonies. Countries like Bhutan, China, Iran, and Japan are also excluded, as they were able to maintain their sovereignty despite encroachment by the Western colonial powers. ^ Some territories changed hands multiple times, so in the list is mentioned the last colonial power. In addition to it the mandatory or trustee powers are mentioned for territories that were League of Nations mandates and United Nations trust territories. ^ Date of decolonization. Dates for territories annexed by or integrated into previously decolonized independent countries are given in separate notes. Subsequent mergers, secessions and civil and other wars in the period after decolonization and the resulting states and federations are not part of this list and are only noted- see the list of sovereign states by formation date. Date of when a commonwealth realm abolished its monarchy are noted. Any discrepancies between dates listed here and public holidays celebrating the country's independence (and whether the date listed is celebrated as a holiday at all) are noted, as well as the national day if the country does not have an independence day. ^ For countries that became independent either as a Commonwealth realm or as a parliamentary republic the head of government is listed instead. ^ In the 1896-19 period there were the Philippine Revolution and Philippine–American War. Prior to American invasion and annexation, the country declared independence from Spain during 1898. ^ North Yemen and South Yemen were unified into the Republic of Yemen on 22 May 1990. ^ As the Kingdom of Egypt. Transcontinental country, partially located in Africa. ^ Not celebrated as a holiday. On 28 February 1922 the British government issued the Unilateral Declaration of Egyptian Independence. Through this declaration, the British government unilaterally ended its protectorate over Egypt and granted it nominal independence with the exception of four "reserved" areas: foreign relations, communications, the military and the Anglo-Egyptian Sudan. The Anglo-Egyptian treaty of 1936 reduced British involvement, but still was not welcomed by Egyptian nationalists, who wanted full independence from Britain, which was not achieved until 23 July 1952. The last British troops left Egypt after the Suez Crisis of 1956. For this, the 23 July date, celebrated as Revolution Day, serves as Egypt's national day. ^ Although the leaders of the 1952 revolution (Mohammed Naguib and Gamal Abdel Nasser) became the de facto leaders of Egypt, neither would assume office until September 17 of that year when Naguib became Prime Minister, succeeding Aly Maher Pasha who was sworn in on the day of the revolution. Nasser would succeeded Naguib as Prime Minister on 25 February 1954. ^ Celebrated as National Day. (While Iraq does not have a holiday called Independence Day, National Day is celebrated as such). ^ The Iraqi revolt against the British was an armed uprising that failed to prevent the incoming British colonization. ^ Riad Al Solh was Prime Minister on the date of independence. ^ Transcontinental country, partially located in Oceania. ^ Not celebrated as a holiday. Netherlands New Guinea was separated from the Dutch East Indies on 29 December 1949. Following skirmishes with Indonesia in 1961 and the New York Agreement, the Netherlands transferred authority of Dutch New Guinea to a UN protectorate on 1 October 1962 and it was integrated into Indonesia on 1 May 1963. The date 17 August 1945 (when Sukarno formally proclaimed Indonesia's independence) is celebrated as Indonesia's date of independence. ^ As the Dominion of Pakistan. ^ Muhammad Ali Jinnah became Governor-General of Pakistan upon independence. ^ Not celebrated as a holiday. On 16 December 1971, after months of fighting starting from 26 March of that year, Bangladesh formally seceded from Pakistan. The 26 March date is celebrated as Bangladesh's date of independence. ^ Sheikh Mujibur Rahman was the President on the date of Bangladesh's secession. ^ As the Dominion of India. ^ Subsequently, a free and sovereign India unilaterally annexed Hyderabad State from Mir Osman Ali Khan in 1948 and Goa from Portugal in 1961; Puducherry was ceded by France in 1954. On 26 January 1950, India formally abolished its Commonwealth monarchy and became a republic. ^ Remained Prime Minister when India abolished it monarchy. Rajendra Prasad became President upon abolition. ^ 5 Iyar 5708 on the Jewish calendar. As Israel based its holidays on the Jewish calendar, celebrations do not always corresponds with the Georgian date. One day after Israel declared its independence, the Arab League launched an attack on Israel that would last until 20 July 1949, ending with Israel securing its sovereignty. ^ Originally as Chairman of the Provisional State Council before becoming Prime Minister three days after independence; Chaim Weizmann succeeded him on that same day. Both remained in office (this time with Weizmann as President) on the date of the armistice. ^ Date of Japanese surrender and the transfer of the southern half of the Korean peninsula to the United States. Celebrated as Liberation Day (or "Gwangbokjeol"). American administration lasted exactly three years. Gaecheonjeol ("National Foundation Day") celebrates the date 3 October 2333 BC, which (according to Korean mythology) was when the Gojoseon kingdom was founded. ^ Assumed office on 24 July 1948 as President. ^ Date of Japanese surrender and the transfer of the northern half of the Korean peninsula to the Soviet Union. Celebrated as Liberation Day (or "Jogukhaebangŭi nal"). Soviet administration lasted until 9 September 1948; this date, celebrated as Day of the Foundation of the Republic, serves as North Korea's national day. ^ Assumed office as Premier on 9 September 1948. Kim Tu-bong became Chairman of the Standing Committee of the Supreme People's Assembly upon that same date. ^ As the Kingdom of Laos. ^ Not celebrated as a holiday. National Day celebrates the date 2 December 1975, which was when the Pathet Lao established the Lao People's Democratic Republic and ended both the monarchy and the decades-long civil war. ^ Souvanna Phouma was Prime Minister on the date of independence. ^ North Vietnam proclaimed independence on 2 September 1945 as the Democratic Republic of Vietnam. The State of Vietnam declared independence on 14 June 1949, but remained de facto under French rule until 1 August 1954. South Vietnam was the successor state to the State of Vietnam under the name of Republic of Vietnam. Both parts of Vietnam merged into the Socialist Republic of Vietnam on 30 April 1975, after the Vietnam War. ^ The Malayan Communist Party fought in the Malayan Emergency between June 1948 – 12 July 1960. ^ Not celebrated as a holiday. For reasons unknown Cyprus celebrates October 1, 1960 as its date of independence. ^ Armed struggles by the EOKA (Greek) and TMT (Turkish) organizations. ^ Not celebrated as a holiday. National Day celebrates the date 25 February 1950, which was when Abdullah Al-Salim Al-Sabah was crowned. ^ Muscat and Oman was de facto a British protectorate. On 4 June 1856, the Sultan who ruled from Stone Town, Zanzibar, died without appointing an heir. With British intervention on 6 April 1861, Zanzibar and Oman were divided into two separate principalities. Zanzibar later became a formal British protectorate, but the British influence over Muscat and Oman remained informal. In 1962 Britain declared Muscat and Oman an independent nation. ^ See the Dhofar Rebellion defeated with British help. ^ Between 16 September 1963 and 9 August 1965 Singapore was part of the Federation of Malaysia. ^ The independent UAE was joined by Ras al-Khaimah on 11 February 1972. ^ Not celebrated as a holiday. National Day celebrates the date 16 December 1961, which was when Isa ibn Salman was crowned. ^ Khalifa bin Salman Al Khalifa was Prime Minister on the date of independence. ^ The Bahraini independence survey, 1970 was a United Nation-run survey asking Bahrainis if they would rather be independent or under Iran control. Although a non-binding survey that makes no mention of the United Kingdom, the results (which showed an overwhelming majority supporting independence) led to Iran to denounce its claims over Bahrain, which in turn led to the United Kingdom to end its protectorate. ^ Celebrated respectively as Proclamation of Independence Day and Independence Restoration Day. Independence was declared on 28 November 1975, but nine days later Indonesia invaded East Timor and formally annexed it on 17 July 1976. Throughout the Indonesian occupation most of international community refused to recognize East Timor as a province of Indonesia. Independence was restored after UN intervention from 25 October 1999 till 20 May 2002. Independence Restoration Day serves as East Timor's national day. ^ The Brunei Revolt was a rebellion against the sultan suppressed with British assistance in 1966. ^ a b Date of transfer to the People's Republic of China. ^ Also referred to as Judea and Samaria Area or West Bank and Gaza Strip. ^ In the aftermath of the 1948 Arab-Israeli War the Palestinian territories were divided between Israel, Egypt and Jordan. After the Egypt–Israel Peace Treaty (1982) and Jordanian disengagement from the West Bank (1988), following decades of Arab–Israeli conflict, the Palestine Liberation Organization declared independence for a State of Palestine, but its control over the West Bank and Gaza (through the Palestinian National Authority) is still limited due to continued conflict with Israel. ^ Israel allows the PNA to execute some functions in the Palestinian territories, depending on the area classification. 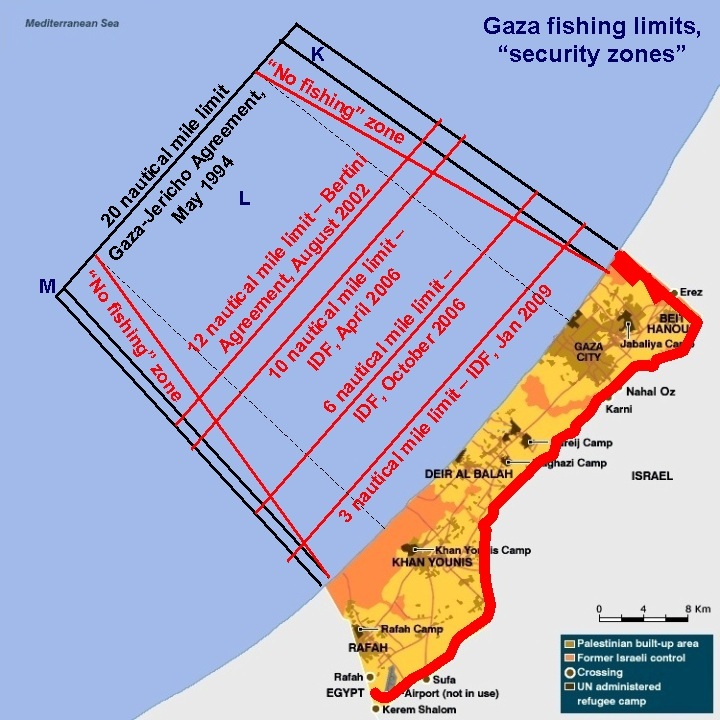 It maintains minimal interference (retaining control of borders: air, sea beyond internal waters,[ax] land) in the Gaza Strip (its interior and Egypt portion of the land border are under Hamas control), and varying degrees of interference elsewhere. See also Israeli-occupied territories. ^ "HONG KONG HARBOR IN HANDS OF BRITISH; Fleet Speeds Reoccupation-- Wedemeyer Sees U.S. Men Out of China by Spring". New York Times. Associated Press. 1945-08-31. Retrieved 2017-05-29. ^ King, Joan Wucher (1989) [First published 1984]. Historical Dictionary of Egypt. Books of Lasting Value. American University in Cairo Press. pp. 259–260. ISBN 978-977-424-213-7. ^ Salih, Zak M. (17 November 2005). "Panelists Disagree Over Gaza's Occupation Status". University of Virginia School of Law. Retrieved 26 September 2011.